Fairy tales aside, I'm not a wolf, but if you choose to work with me, I've got your back! a FREE, no obligation, initial consultation where we can meet, you can ask questions and decide if I am right for you. Book your free consultation now. two prenatal meetings where we will get to know each other. I am very well informed and I am happy to answer any questions, and guide your pregnancy, birth and parenting research should you be interested. If you have a partner, family member or friend that will be acting as your birth partner they should also attend these meetings. It is my goal to support you and whomever you should invite to your birth, to make this the most important and amazing day of your life. examine your birth beliefs, desires, and any anxieties you may have about birth. We will go over your prenatal health and get you the best prepared for an amazing birth. I will assist you in preparing a birth preferences document to have ready to review with your medical care provider. I will also share with you birth comfort measures that you may find helpful during your birthing time. Some of these you may find useful to practice during pregnancy. at one of these meetings you will meet my back-up doula so you will feel comfortable in the very unlikely scenario that I am unable to attend your birth. access to my extensive lending library of books and DVDs about pregnancy, childbirth, birth stories, taking care of baby, taking care of yourself, breastfeeding and attachment parenting. I will be available to answer your questions by phone or email up until two weeks after your baby is born. I will be by your side providing mental, emotional and physical support as you labour. I will stay with you until after the baby is born (usually about 2 hours after). 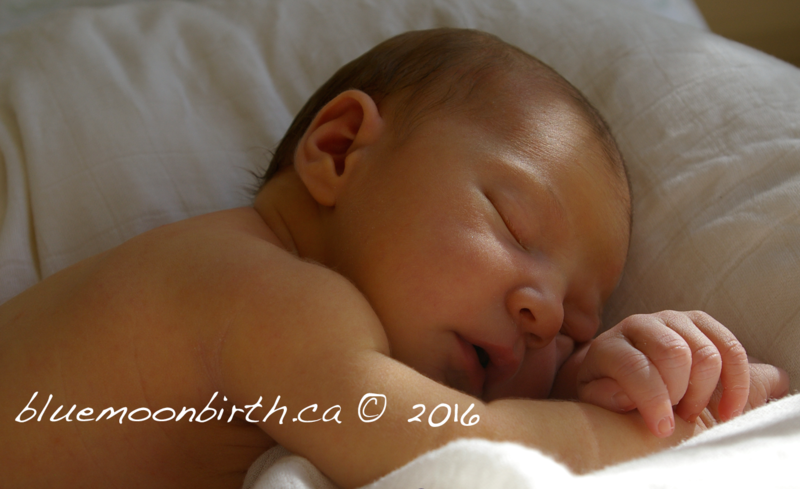 I am part of the Doulas of Vancouver Birth & Postpartum Collaborative. In the event of an emergency one of my experienced birth doula collaborators will be provided as your back-up doula. The Doulas of Vancouver Birth & Postpartum Collaborative host FREE monthly Info Nights. We will explore a wide range of topics including time tested tips to help you successfully move through your pregnancy, birth, the postpartum and beyond with your growing family. Each month a different Doulas of Vancouver host shares in their area of expertise. Light refreshments provided. For existing clients this is an opportunity to meet the whole team at Doulas of Vancouver. As a client of mine you receive 10% discount on most services and classes offered by Doulas of Vancouver. you will have access to my TENS unit. If you are planning for a water birth at home I will bring, setup and take down everything necessary for the waterbirth. This is included in my regular price because I love home water births so much, and because I know it will make your birth that much better. I am comfortable helping with older siblings during the birth. can talk about the birth and how you feel about it. I can provide guidance with breastfeeding, care for your baby so you can sleep, practice baby-wearing techniques, make you food, do some light cleaning, help with older siblings, help you with resources moving forward, and/or anything else you think might be helpful. I can provide you with new parenting groups and point you to organizations, and access points with your community. $1100 includes everything listed to the left. Should you choose to birth at home I will also provide you with a home birth kit. Should you be planning for a water birth I will provide you with everything you need to have a waterbirth at home. This is all included, along with the setup and takedown of the pool. Sliding scale available for single mothers and families in financial difficulties. Contact me for more information. By giving you a massage, doing acupressure, various rebozo techniques, suggesting position changes, brushing your hair, queue the music (your playlist), reading you hypnobirth scripts, setting up the TENS unit on your back, taking care of ambiance & lighting, make sure you get some food and water in you, by letting your partner take a nap or break should they need it, holding the shower on your back, hip squeezes, by holding your hand, by giving you encouragement and/or reassurement, by being a calm presence in the room. To every birth I bring a rebozo, hot and cold packs, a TENS unit, a birth ball, massage oil, massage tools, deep birth knowledge, aromatherapy essential oils, homeopathy and herbal remedies, all of the HypnoBabies scripts and CDs, Ener-C vitamin & element drink, tricks up my sleeve, energy, stamina, new ideas, a state of awe and most importantly compassion. Support you and your chosen birth witnesses mentally, physically and emotionally. Support your decisions and your right to autonomy and choice over your body, your birth and your baby. Do everything within my power to help you feel respected, comfortable and safe. Protect you and your chosen birth environment from interference, distractions and any other intrusions that will hinder your ability to birth your baby. Advocate for what you want and make sure that your voice is heard. Try my very best to help you realize the birth that you want. Remember, and remind anyone who forgets, that you are a birthing goddess, your birthing time is sacred and the new life that you are bringing forth is a miracle. Try to rescue you from your birth. Magically make your birthing time faster. Push my birthing philosophy onto you. Judge you for anything you do or do not do. Do any clinical or medical examinations such as take blood pressure, try to move the baby or vaginal exams.